For this week’s Food Truck Friday I will be featuring Haulin Balls. I was driving back to my apartment after running some errands yesterday and was thinking about what I was going to have for lunch. I happened to be looking at twitter and much to my happiness, Haulin Balls was literally two minutes from my place! 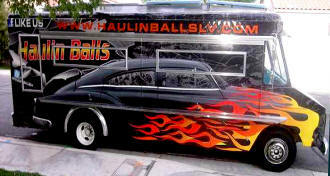 I’ve had Haulin Balls previously, they were at a food truck food court one Sunday night. I really wanted to try their mac n cheese, but they’re always sold out whenever I see them. They have a set menu plus a daily blue ball special. The night at the food court I had the spicy tuna balls, which were UNREAL good! It was like having a sushi roll without the rice. My bff had their sweet potato tots (YUM) and the pulled porky. 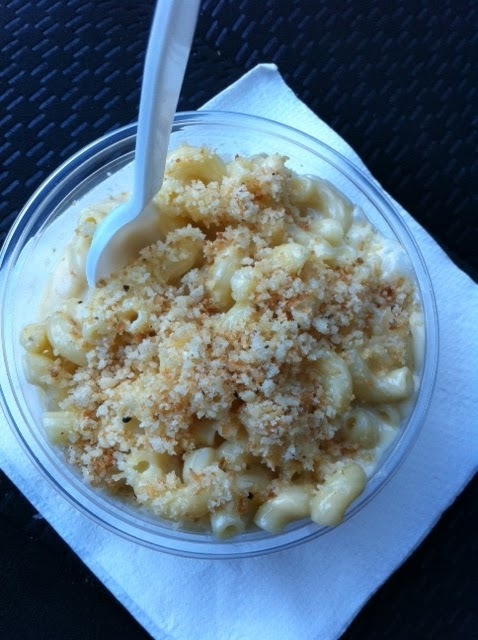 So back to my lunch yesterday, it was early around 11:30, I knew my chances for mac n cheese were high! It took me a few minutes to find the place, it’s in a random spot. Although it was early, I was pretty hungry so the first thing I ordered was …. THE 3 CHEESE MAC N CHEESE!! I guess the foodie in me should of paid attention to the 3 cheeses in the mac, but unfortunately I forgot. The crumbles on top were AMAZING, it’s a truffle bread crumb mix that just made the mac n cheese. I’m so glad I finally got to try it, it was SOO SOO good!! I basically licked the bowl clean. It also had a lil heat to it, very subtle (so my weak stomach could handle it) and it was perfection! I def recommend their mac n cheese! 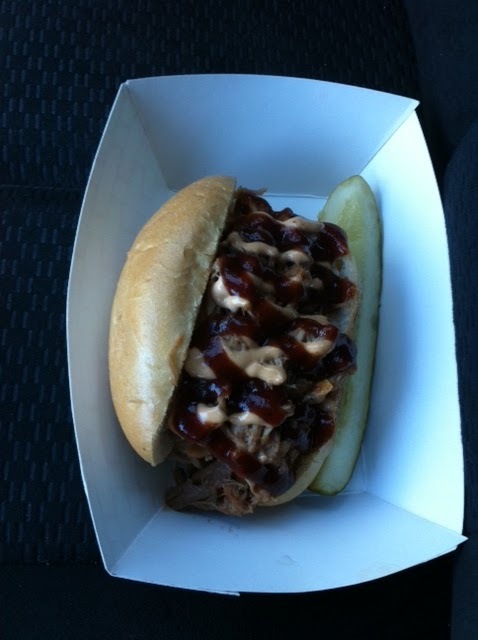 The porky, a pulled pork sandwich with chipotle mayo, and it was VERY yummy! I’m a sucker for pulled pork, I just love it! The chipotle mayo makes this sandwich! It gives a nice flavor. I could these all day. I hope you enjoyed this weeks food truck friday! It was a great lunch for me! I will hopefully be attended Parking Lot Pimpin tonight at SlidinThru head quarters, so next week should be a fun food truck friday for you! If you want more info on Haulin Balls check out their website!